I love dinner parties. I love attending them and hosting them. 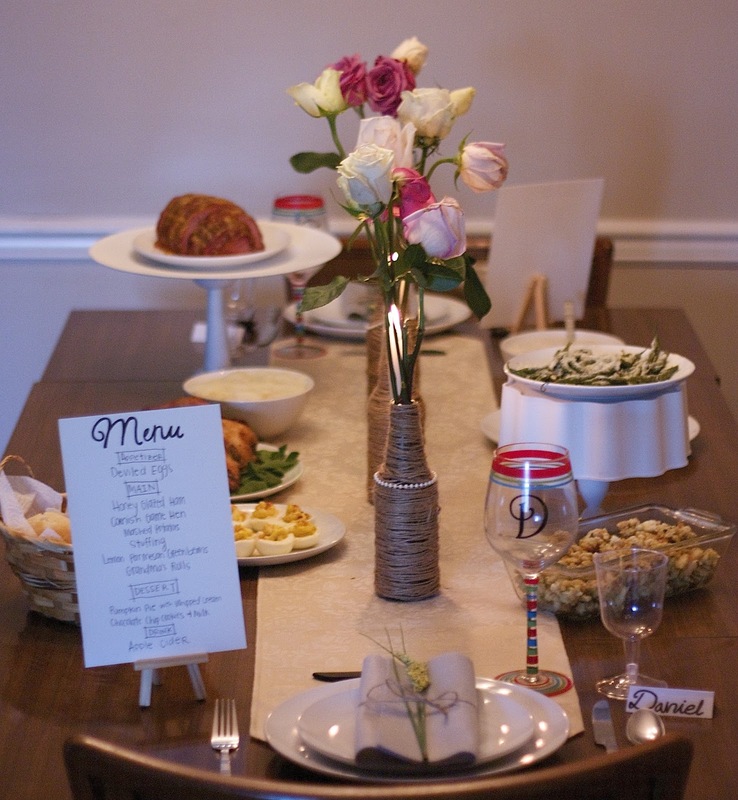 So naturally our Thanksgiving turned into a dinner party for two! This year my sweet husband and I stayed in North Carolina for Thanksgiving. 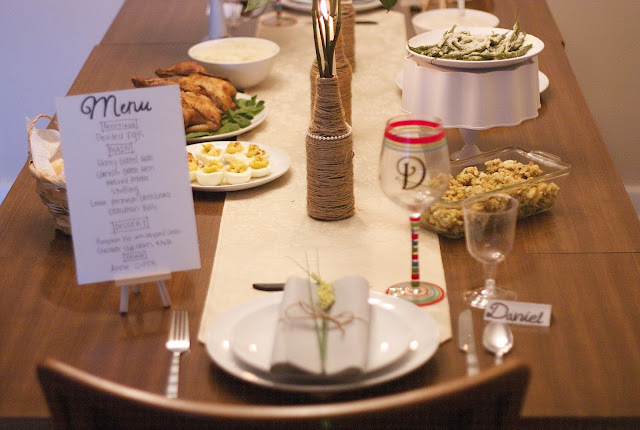 We had a few invites to join other celebrations but at the end of the day, a cozy Thanksgiving at home sounded perfect. The decor was relatively simple. Roses go a long way so I picked up a soft pink combo that I thought would pair well with the cream and tan color scheme. 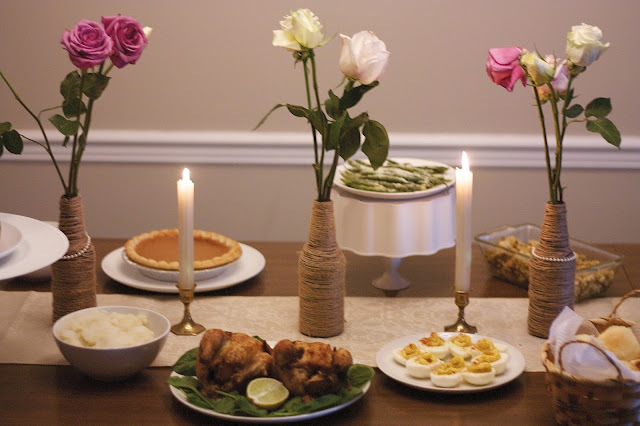 We decided that all the dishes (including our dinner plates) would be white. I'm a sucker for place settings so that was a no brainer. And finally, the menu on the side was a fun addition. It made our dinning room feel like a restaurant. We lit the candles, dimmed the lights and played soft christmas music in the background. It really was perfect and a fun way for us to celebrate! I hope some of these ideas inspire you to throw your own dinner party - regardless if its a large group or just a table for two!